From installations to refinishing — we do it all! Read testimonials from some of our happy customers! We provide FREE estimates! Set one up today! Welcome to Michigan Hardwood Floors Services, LLC. Experienced hardwood flooring specialists serving the following areas in Michigan: Oakland, Macomb, Washtenaw, and portions of Wayne County. Are you on the fence about which material you want for your floor? 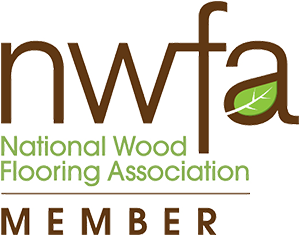 Learn about the benefits of choosing hardwood! Once your new floors are finished, it's important to practice good habits to keep them looking their best. We've compiled a list of many of them. Request a FREE estimate, view flooring samples, or ask us a question about anything hardwood related. We'll be happy to assist you. Hardwood flooring information, care tips, and more. Check out our blog to learn more! Seasonal Expansion and Contraction – Why Does My Hardwood Floor Have Gaps? A Truly Dustless Sanding System – The Bona Atomic Trailer, Our New Team Member, Is Here and Ready to Work!